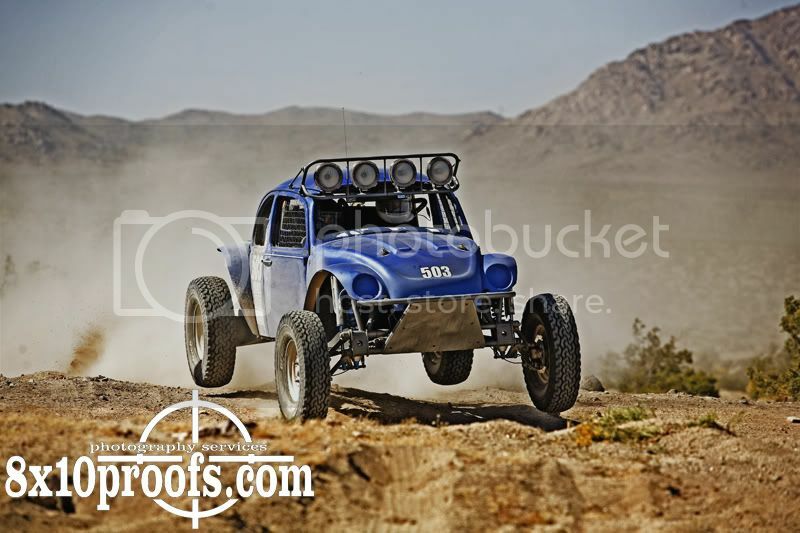 Oh...And my son just came home from the offroad fab shop where he works (Crumco) talking about having mounted 4 33x10.50 tires tires on 4" Method rims. By hand. It DOES WORK! I have 31x10.5o's on the front of mine.33x11.50's 0n the back with 7' rims. Actually not to bad to mount at all. How wide are the front rims? Are they real Bead Locks? 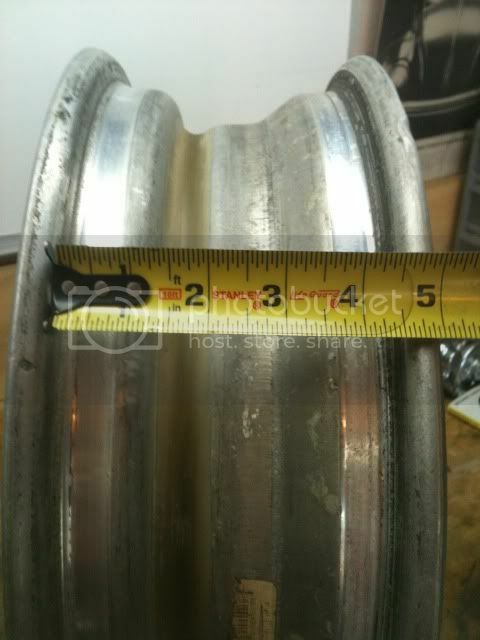 "Normal" rim size for 31 x 10.50 is 7" - 9" wide..
Racer's son installed them on 4" rims... That was what I was questioning? 33x9.50 and 33 x 10.50 tires on 4" x 15" wheels. Real beadlock or non-beadlock rims, either way. The following pics are from the Crumco site. 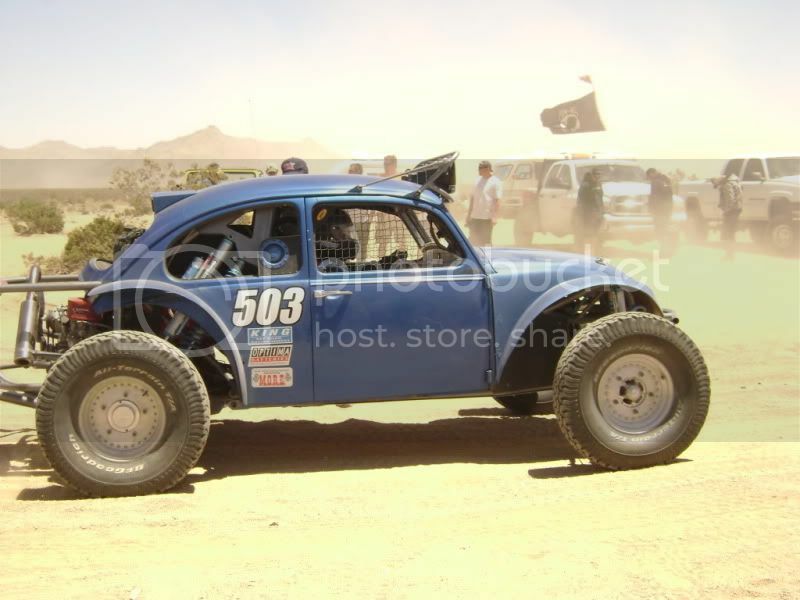 Some of the cars have been raced successfully, some are top-notch play cars, some have been featured in Hot VWs. The wheels in these photos which appear to be beadlocks are the real deal, except for the last pic of the muddy blue #503, taken at Glen Helen last year. 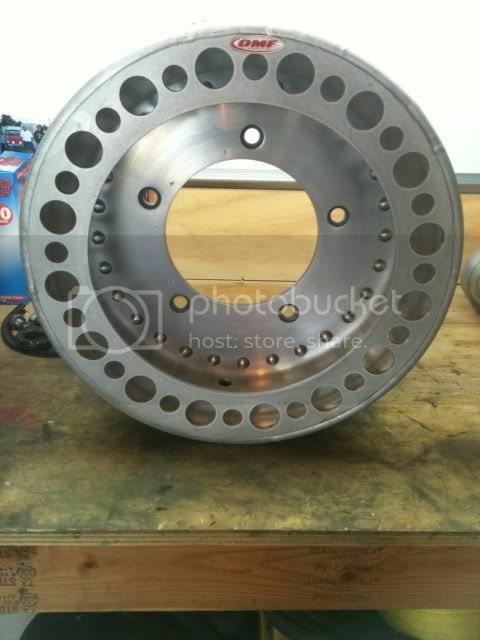 Those wheels have reinforcing rings welded to the outer rims. 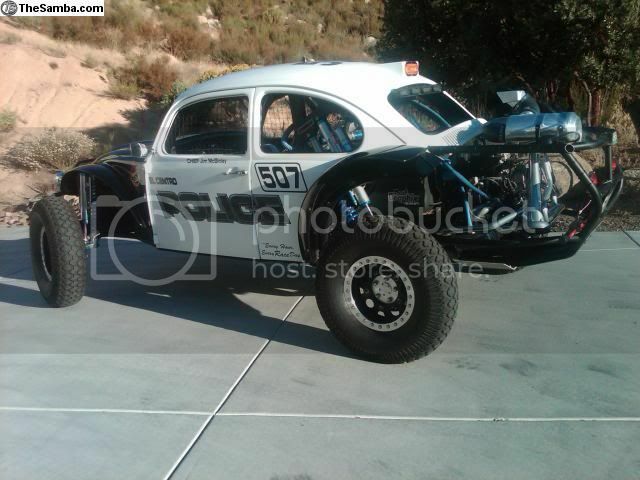 This is the car those mounted last night are for, in prep for the Mint 400 race next week. My son is scheduled to be in the car during the race. My son is standing next to me behind the Baja with his arms in the air, I'm wearing the Tech Inspector's cap with flames. 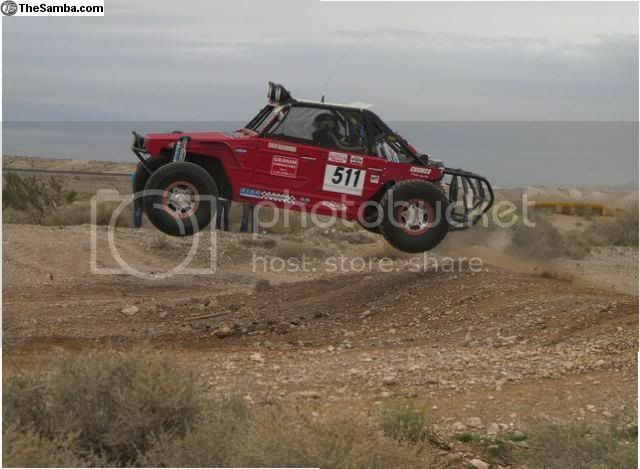 Go on Race-dezert.com and Desertrides.com forums and ask around of racers in Class 5 open, Class 10, and Class 12 what size wheels and tires they use. Oh...And that blue Baja had just slammed the right front into a concrete K-rail out on the race course in a thump which could be heard over the race cars from across the track. Tire stayed on as you can see. "I" haven't seen it back here in the mid - west..
Hell, I still have a rotary cell phone.. It would appear that you got cheated. 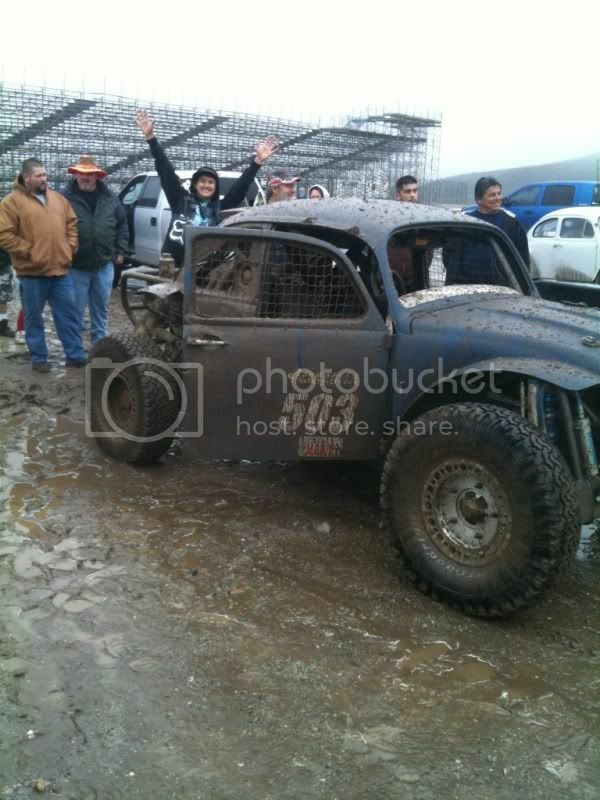 Jeremy shorted you on the mud! Not just everybody can own Good California land! The rest of it is for sale now too. Young fire fighter with too much else on his plate. Quite the bargain too. Think it's on RDC. But I'll let him sell it himself. I thought I saw it the other day. Actually when I got them they came with tubes and seems like every time I roll them around some dirt falls out of them. i need to re-wire my car! highschool kid that was owner had s*** all over. most wires didn't go to anything, some were for extra lights and electric fuel pump. anyway, just ugly and not to safe looking (exposed ends/wire, multiple tie ins to same fuse). where can i find a decent harness and fuse box. would it be easier to make my own and still not expensive? this is my first attempt at off road. got the 69 from neighbor for bro deal. my three little guys will be helping me. thanks in advance for any info, tim. Well Tim, start a thread about it and show us some pictures of what's there, and we'll see if we can guide you through it. There are premade harnesses available. The price has recently gone up like gas prices. But it's still a good way to start, with wiring diagrams available free. thanks mojaveracer208. 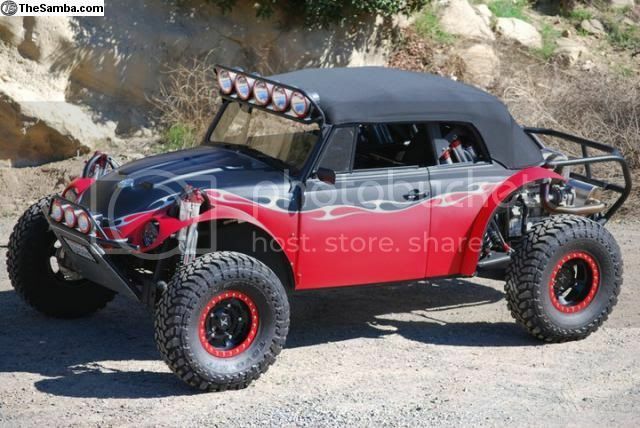 i saw a kit for sandrails/buggies (under $100) and a complete wiring harness ($350). 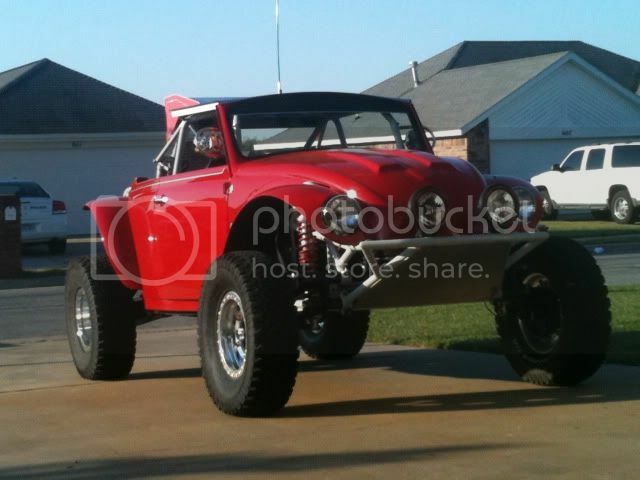 was thinking about the sandrail kit but want to keep car street legal. the full harness was 12 point fuse block and seemed very useful, just the cost is high. the rail kit used 8 points, can i add another block to it if i need to? i want to do as much work myself as possible. thanks for all help, suggestions, and ideas. i need to get info on king pin versus ball joint front ends. have the stock '69 beam in org location. plan on extending 4''-6'' and 6'' wider. will be buying new front when armed with all info u guys send me! 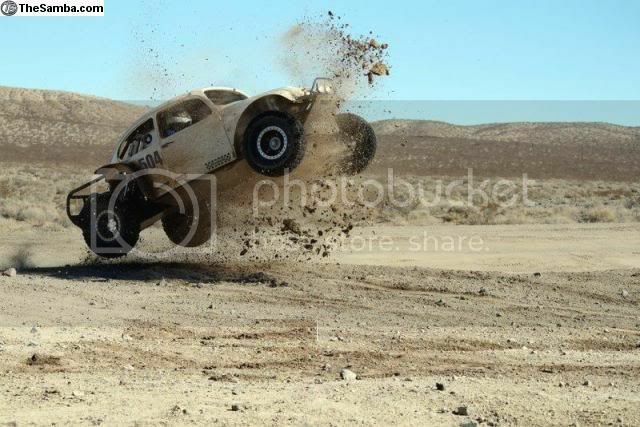 this car will be in both sand and rock. hope there's a good medium for both applications. New Members New to bajas from Vt. 14 vtbaja 10871 New to bajas from Vt.